Dental implants are a permanent way to replace missing teeth. They look, feel, and function just like your natural teeth. Unlike traditional dentures, dental implants do not move or slip along the gums, and they require no extra daily maintenance aside from your normal brushing and flossing routine. At True Dentistry our experienced implant dentist, Joseph G. Willardsen, DDS, can create a treatment plan that will provide you with custom-designed dental implants to restore your smile with beautiful results. Comprised of an implanted titanium post that mimics the tooth root, dental implants can support a variety of custom-made restorations. Dental implants can provide unparalleled stability, reliability, and function. 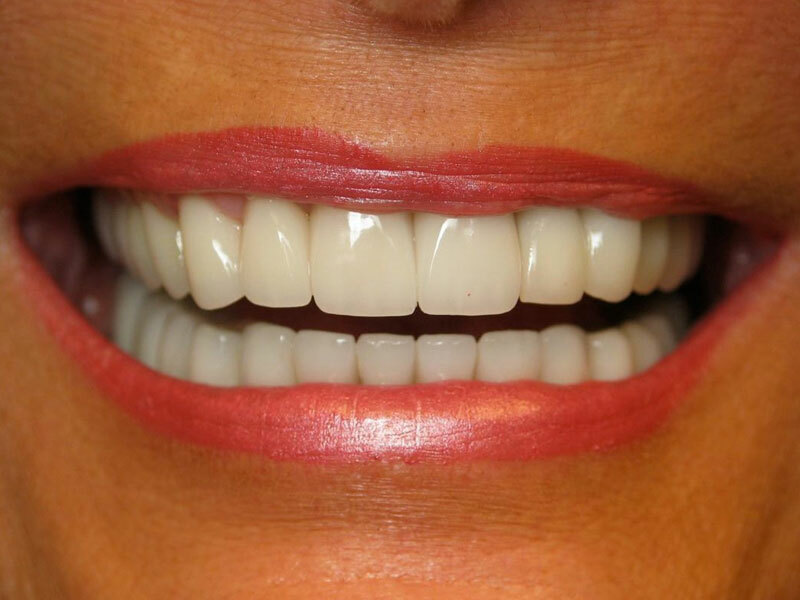 Furthermore, this tooth restoration technique offers outstanding aesthetics to create a natural looking smile that suits you. With so many clear advantages over more traditional methods of tooth replacement, patients often want to choose dental implants. However, not everyone is a good candidate for dental implants. The first step in rejuvenating your smile with dental implants is determining whether or not they are right for you. The best way to determine if dental implants are appropriate for you is to schedule an appointment with one of our experienced dentists. During the consultation, your dentist will perform an oral exam, assess the condition of your gums and jawbone, review your medical history, and recommend a treatment plan that can meet your needs. For patients who may not be ideal candidates for dental implants, our dentists can offer other reconstructive solutions, such as dental bridges, partials, or removable dentures. What Dental Implant Options Are Offered? Based on the number of missing teeth you have, where the gap is located, your jawbone density, and budget, Dr. Willardsen offers three different methods of tooth replacement that rely on dental implants: single-tooth implants, multi-tooth implants, and All-on-4® implant dentures. Single-tooth dental implants are comprised of a single-implant post and crown, and each of these dental implants can replace one tooth in any location along the upper or lower arch. When a gap is created by three or more adjacent missing teeth, an implant-secured bridge may provide a functional, natural-looking way to accomplish multiple-tooth replacement and complete your smile. Only two implanted posts on each end of the gap are required to firmly attach the custom bridge, rather than a post and corresponding crown for each missing tooth. For patients who want to replace a full arch of upper and/or lower teeth—or those wish to upgrade their removable dentures for a more secure and functional restoration—custom implant dentures can be a great option. Each full arch of replacement teeth can be anchored in place by four (with the All-on-4 method) or more dental implants, depending on your unique needs. 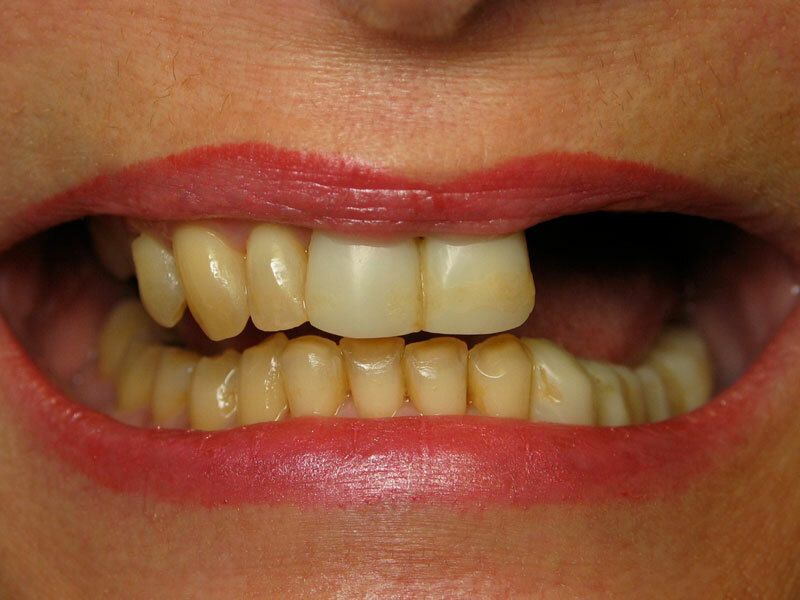 An added benefit of All-on-4 implant dentures is that even patients with diminished jawbone density can usually be good candidates for the procedure. At True Dentistry, we offer dental implants (posts and abutments) made of two different materials—titanium and ceramic. Learn more about the benefits each of these implant materials can provide below. The most common type of dental implants are those made of titanium—a strong, light, bio-compatible, and non-allergenic material that is preferred for use in many medical procedures. Titanium also has the added benefit of fusing easily with bone material (through a process called osseointegration), which can hold the implant firmly within the jawbone. When temperatures in the mouth fluctuate (i.e. with consumption of hot or cold food/drinks), titanium does not transfer heat or cold, reducing the likelihood of shocking or uncomfortable sensations. Dr. Willardsen will first conduct a thorough exam to confirm that you are a good candidate for dental implants. He will ensure that you have sufficient jawbone density, allowing the dental implant to be anchored properly. The dental implant is composed of a strong titanium post. Precisely placed in the area of the missing tooth, the post will gradually fuse to the jawbone over the next few months. This process will allow the implant to become a part of your mouth, mimicking a natural tooth root. Dr. Willardsen can place a temporary crown over the top of the implant as you wait for it to heal. 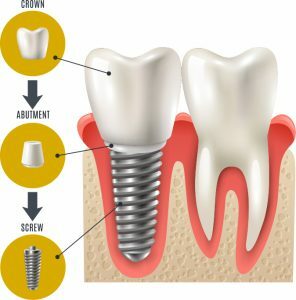 Once the dental implant has successfully fused with your bone, Dr. Willardsen adds the abutment, which allows the crown restoration to attach to its post in the jaw. As a result, your implant is stronger and is more permanent, though it can still be removed by your doctor should this become necessary in the future. Then he attaches a permanent crown. This new crown can be custom-made for you in our office, using E4D ceramic restoration technology. The crown will look like your natural tooth in shape, size, and color, blending in to complete your new, beautifully restored smile. When the permanent crown has been placed, Dr. Willardsen will give it a final polish. The results should look and feel so comfortable and natural that you may have a tough time distinguishing the replacement tooth from your natural teeth. Dental implants with single crowns can be cared for just like your natural teeth, with twice daily brushing and flossing. For patients who have a history of clenching or grinding, Dr. Willardsen may recommend a night guard to help protect implant restorations from damage. After your consultation, you will receive a comprehensive cost quote for your custom dental implant treatment that explains all aspects of our pricing. At True Dentistry, we strive to not only deliver top-quality care, we want dental implant treatment to be as affordable as possible, too. For many of our patients who are qualified applicants, dental financing through trusted third-party lenders can deliver the financial flexibility and convenience they need to move forward with their care. We have partnered with both LendingClub® and CareCredit® to extend a variety of low and no-interest loan options to our patients. Dental implants can be a worthwhile long-term investment in your smile, and we will do our best to find the right solutions for your unique dental and financial needs. Treatment with dental implants is usually a big decision for most patients, and finding the right implant dentist can sometimes feel like a chore. To help you with your search, we have written a detailed resource that explains the credentials, training, education, and experience a reliable implant dentist should have, and how to know if he or she is right for you. If you are interested in learning more about dental implants, or if you would like to schedule a consultation with Dr. Willardsen, please contact True Dentistry today.